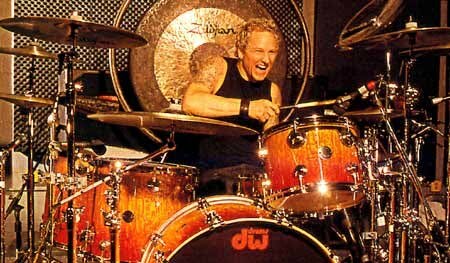 On Tuesday, Sept. 21, our whole class (room #234) will attend a special Little Kids Rock event (in the auditorium) with Grammy-award winning drummer Matt Sorum, formally of the band “Guns N' Roses” and currently of “Velvet Revolver”. He is coming to McKinley School for a meet and greet time with students that will highlight what this organization is doing to support music in the public schools. As you may know, Mr. Rojas has lead a guitar and keyboards class for over a year that is funded by Little Kids Rock. They have provided training for Mr. Rojas in both instruments, supplies, and 10 guitars and 18 keyboards. At this special event with Matt Sorum, there will be between 50-60 students who have gone through this program with Mr. Rojas at McKinley or who will enroll in it soon (from my present class). Be aware that some local press and potential funders will be present. This will be a videotaped session that may air locally or beyond. For this reason, a LKR Media Release Waiver will be needed from everyone in my class in order to attend. Please make sure this form (attachment below) gets turned in to Mr. Rojas ASAP. Matt will play 2 songs with our former guitar and keyboard students who can join in on the guitar or keyboard (everyone can sing along). Try out these songs and see if you could play them yourself. The music, youtube video and chording are all listed below. Practice! If so, bring your guitar if you have one and make sure to bring it to the auditorium in the morning before school (or after 11 am). I do have about 10 guitars that will go to anyone who can play the songs, on a first come basis. All the music resources you will need to learn this song on the guitar or keyboard are there. Play along with the performance video as that is how we will play it.